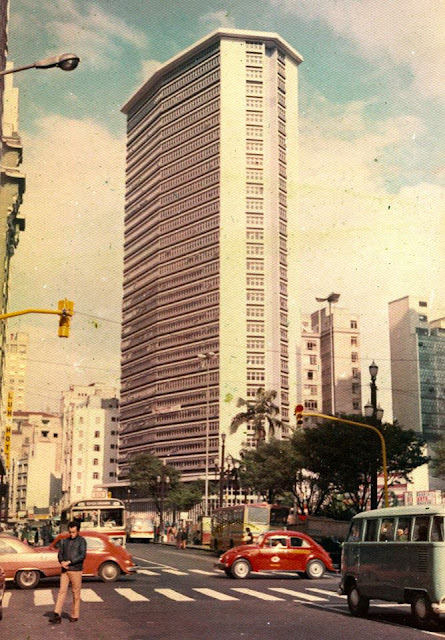 Edificio Andraus before the great 1972 fire. 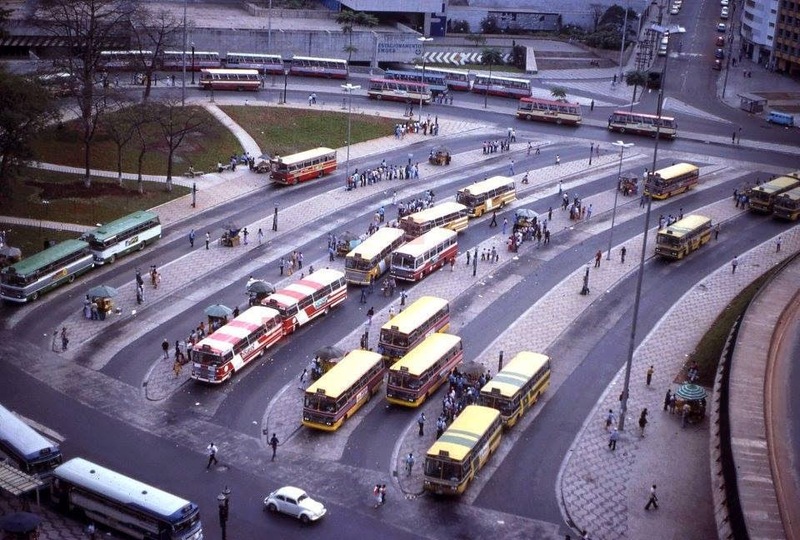 Bus terminal at Praça da Bandeira in 1977. 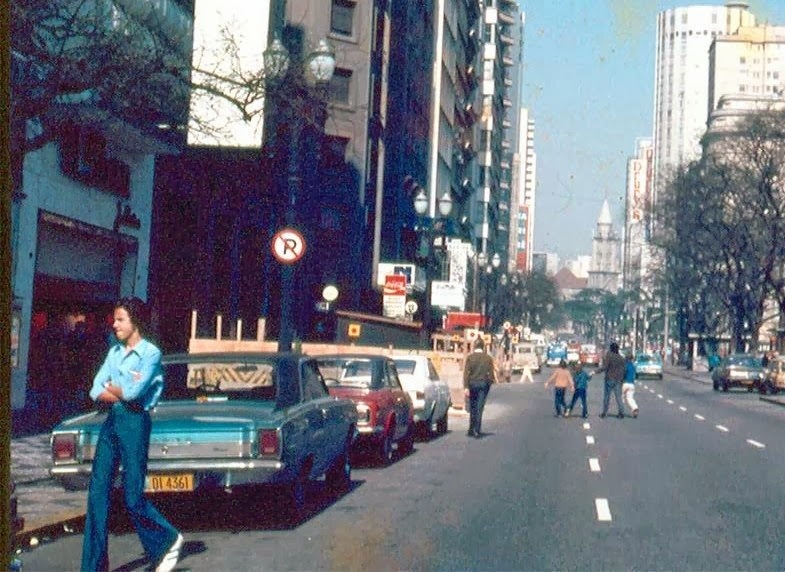 The Seventies were called the Lead Years due to the Military Dictatorship that raged the country. General Elections were last held in a distant 1963. 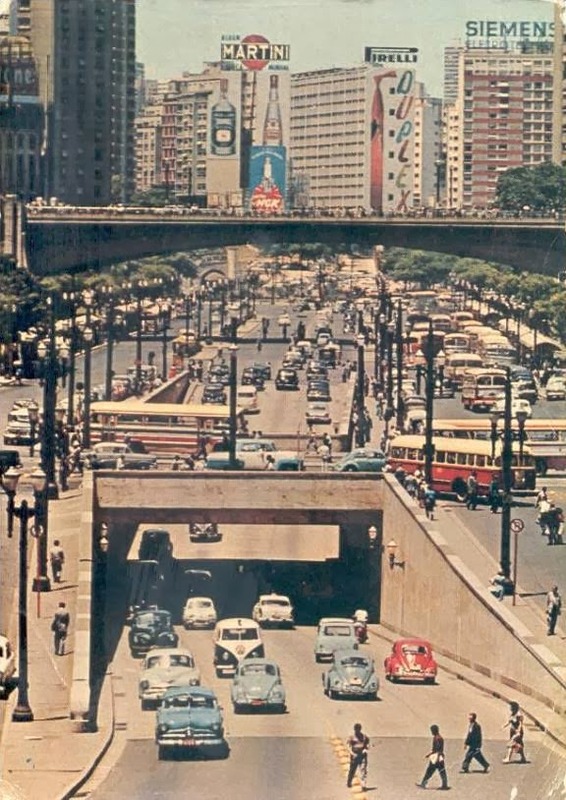 Presidents were chosen among a clique of military men; governors of the 22 states were hand-picked by the same gang; mayors of major cities like São Paulo, were 'appointed' according to the dictators' whims. 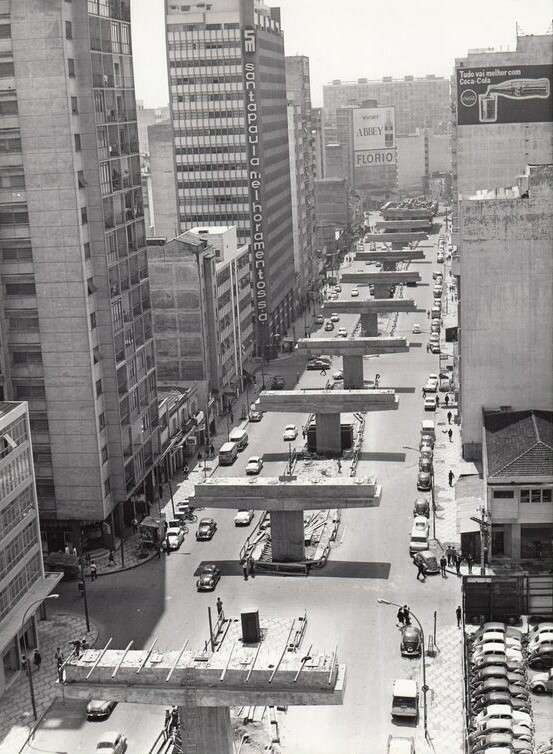 Land reform was not heard of anymore... and a great migration from the poorer Northeast started into the already too big cities in the South making them dysfunctional places that survive into the 2000s. Ugly was the name of the game. 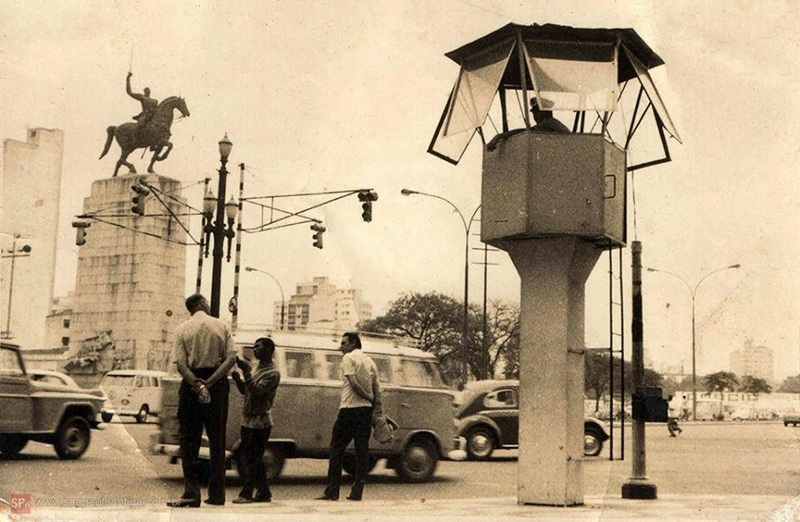 As ugly as this 1973 photo of Praça Duque de Caxias and its concrete police stand.